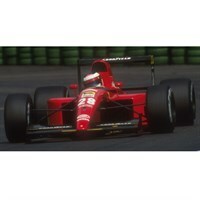 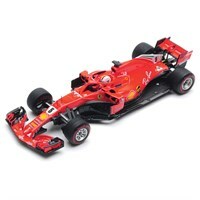 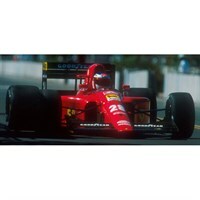 Buy all the latest Ferrari F1 diecast models from Diecast Legends. 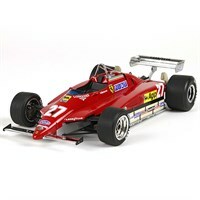 Look Smart 1:43 resin model of the #11 Ferrari 312T as driven by Niki Lauda in the 1975 Italian Grand Prix. 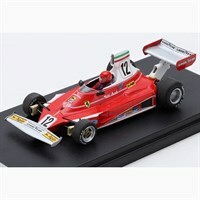 Look Smart 1:43 resin model of the #11 Ferrari 312T as driven to victory by Clay Regazzoni in the 1975 Italian Grand Prix. 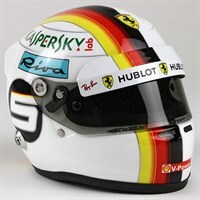 Bell 1:2 resin model of Sebastian Vettel's Ferrari Helmet from the 2018 Formula One Season. 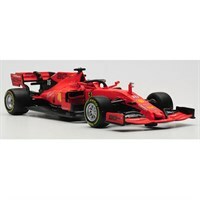 Look Smart 1:18 resin model of the #7 Ferrari SF71H as driven to victory by Kimi Raikonnen in the 2018 American Grand Prix. 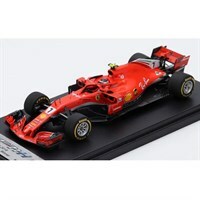 Look Smart 1:43 resin model of the #7 Ferrari SF71H as driven to victory by Kimi Raikonnen in the 2018 American Grand Prix. 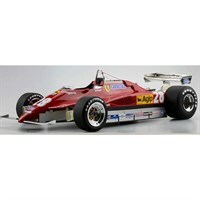 BBR 1:18 resin model of the #27 Ferrari 126 C2 as driven by Gilles Villenueve in the 1982 Belgian Grand Prix. Look Smart 1:18 resin model of the #5 Ferrari SF71H as driven to victory by Sebastian Vettel in the 2018 Canadian Grand Prix. Look Smart 1:43 resin model of the #5 Ferrari SF71H as driven to victory by Sebastian Vettel in the 2018 Canadian Grand Prix. 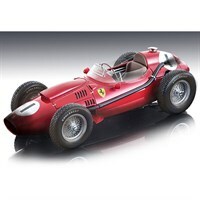 Tecnomodel 1:18 resin model of the #20 Ferrari Dino 246 as drivento victory by Olivuer Gendebien in the 1958 Belgian Grand Prix. Tecnomodel 1:18 resin model of the #1 Ferrari Dino 246 as drivento victory by Peter Collins in the 1958 British Grand Prix. Tecnomodel 1:18 resin model of the #34 Ferrari Dino 246 as driven by Luigi Musso in the 1958 Monaco Grand Prix. 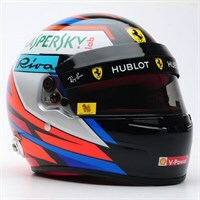 Bell 1:2 resin model of Kimi Raikkonen's Ferrari helmet from the 2018 Grand Prix season. 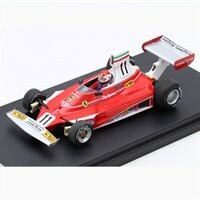 GP Replicas 1:12 resin model of the #28 Ferrari 126 C2 as driven by Didier Pironi in the 1982 Formula One season. Look Smart 1:18 resin model of the #27 Ferrari 643 as driven by Alain Prost in the 1991 French Grand Prix. 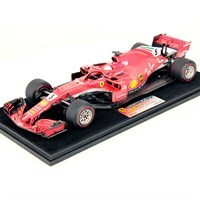 Look Smart 1:18 resin model of the #28 Ferrari 643 as driven by Jean Alesi in the 1991 German Grand Prix. 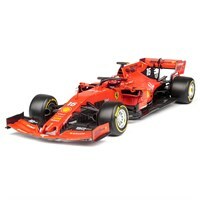 Look Smart 1:18 resin model of the #27 Ferrari 642 as driven by Alain Prost in the 1991 Monaco Grand Prix. 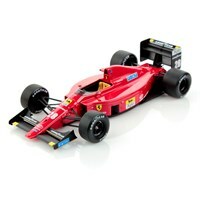 Look Smart 1:18 resin model of the #28 Ferrari 642 as driven by Jean Alesi in the 1991 Monaco Grand Prix. 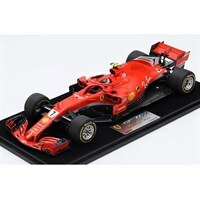 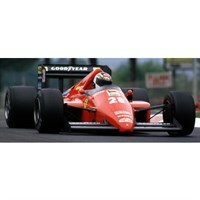 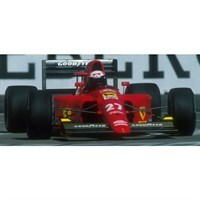 Look Smart 1:18 resin model of the #27 Ferrari F1 640 as driven to victory by Nigel Mansell in the 1989 Hungarian Grand Prix. 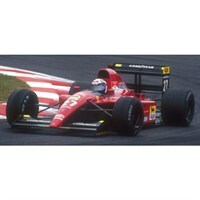 Look Smart 1:18 resin model of the #28 Ferrari F1-86 as driven by Stefan Johansson in the 1986 Austrian Grand Prix.